Well we have news for you! There is a dance explosion happening in London at the moment. Thousands of people are deciding to go dancing alcohol-free. They are tired of the hangovers, fed up of being robbed at the bar and turned off by the fact that in many clubs there are often not many people actually dancing until the wee hours. Wasn’t the idea of going to a club having fun?? Where did all the pretension come from? Well, a new generation of DJs and entrepreneurs are starting to host nights in London which put the focus firmly back on the music and where shots of Jägermeister are replaced with shots of Cacao (A natural, chocolate based stimulant). 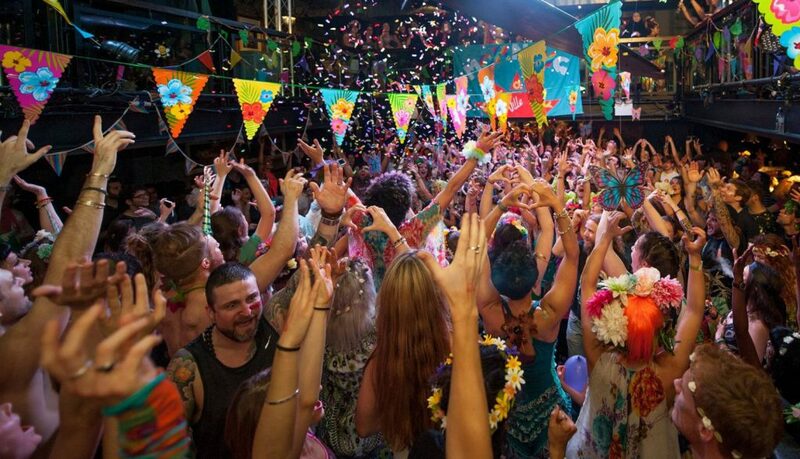 Taking inspiration from long established conscious and meditative dance groups, Neon 90′s rave culture, and driven by the increasing numbers of people taking up Yoga or mindfulness practices – these sober raves and ecstatic dance events are springing up across the city. 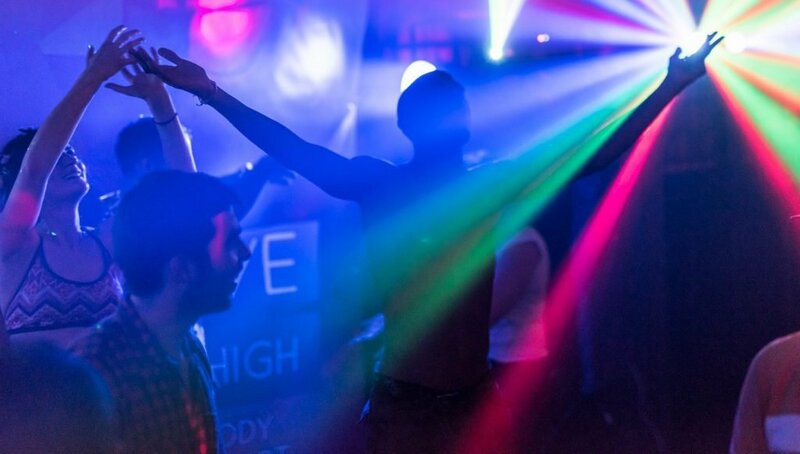 If you are one of the growing number who favour a more sober lifestyle but still want to have fun and get your rocks off on the dance floor, there are some great ecstatic dance events to choose from. They will match your clubbing memories for sweaty heart pounding highs, but leave you waking up the next morning fresh, headache free and even remembering the name of that pretty guy or girl you were dancing with! Curious? Start your journey now and try one of our WooWoo recommended London Events! What? An early morning based sober rave which has grown from one initial event in London in 2013 to events in 17 different cities worldwide. Hundreds of people attend each event in Yogawear, Neon Dayglow outfits or fancy dress, and go crazy for pumping classics on the dance floor at 7am in the morning, just as the rest of the city is waking up! WooWoo says: A great way to wake up! What? 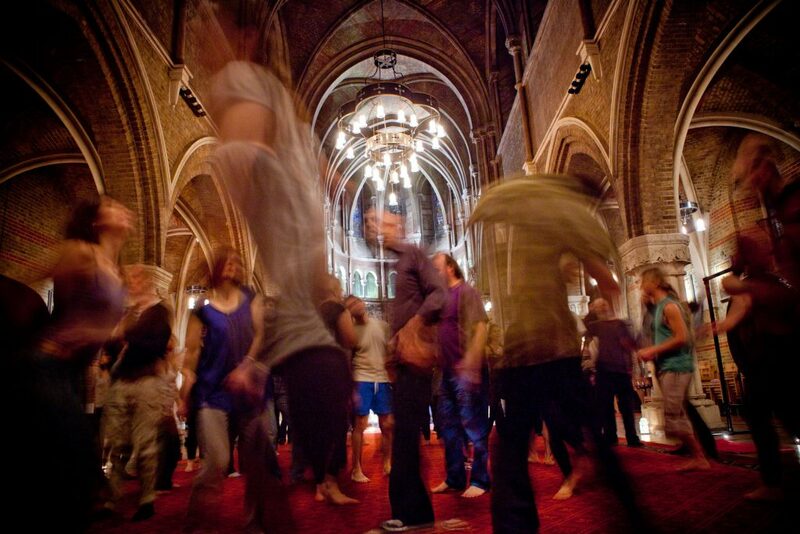 You Are You Be You, London’s ecstatic dance and meditation Community : A dance experience where you are encouraged to be yourself on the dance floor, and connect with others, all within the beautiful environment of a stunning high vaulted Gothic church in Vauxhall, After two hours of frantic dancing and optional partner interaction, the experience often ends with a soothing gong bath, incense and candles. What? A Sober Rave night started by the Hypnotherapist, Tom Fortes Mayer which has the aim of re-creating the ecstatic feeling of oneness you might have once felt whilst dancing on drugs, whilst completely sober through hypnotizing the audience with spoken intentions while they meditate. Whether or not the ‘Science’ works it definitely does get people moving! Add to that dance floor classics, lasers and TFM himself on stage in a disco ball helmet and you have a night not to be missed! WooWoo says: Love is a Drug! WooWoo says: A gentle guide to getting sweaty! What? An early morning dance movement happening in 18 cities around the world. 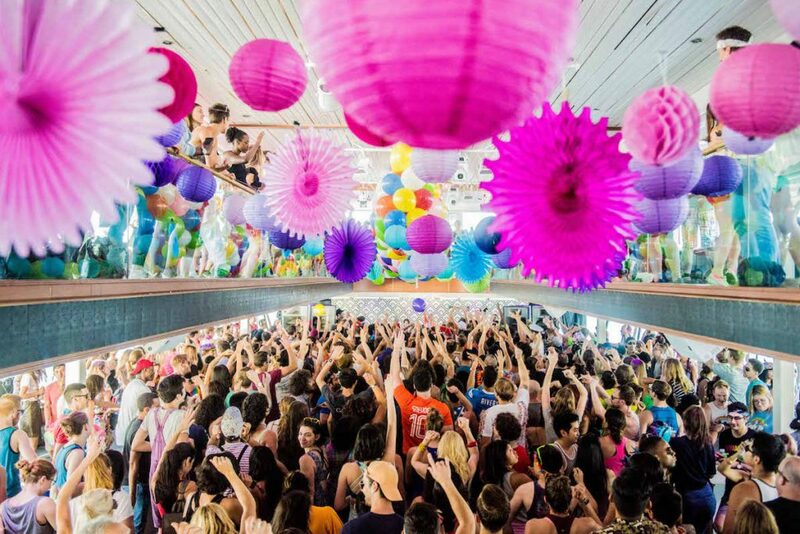 Combines 1hr of early morning Yoga with a Sober rave! If you’re a Yogi who likes to dance this is absolutely ideal for you! Tends to attract the sportier end of the well-being scene so don your most colorful yoga outfit and get down to the next Daybreaker event for one of the most fun and healthy starts to a day you’ll ever have! WooWoo says : Stretch and Dance! WooWoo London is here to help you explore the well-being scene. You can trust that all our recommendations are vetted and that we remain impartial by not taking any sponsored ads. Tom is the Co-Founder of the wellbeing and lifestyle company, WooWoo London. I like it when individuals come together and share ideas. Great website, keep it up! Excellent web site you’ve got here.. It’s difficult to find high quality writing like yours these days. I seriously appreciate people like you! Take care!! Im really interested in the Camden meet ups. Sober raves sound great.